Soup is very beneficial for health. Soup increases the appetite and it also gives additional nutrition. Usually, people drink soup when they are unhealthy. There are several benefits of soup. Cold-Cough: Soup is very beneficial to avoid cold-cough in monsoon. You can also drink soup mixing black pepper in fever and throat infection. Weakness: Soup is extremely beneficial to avoid weakness. It not only avoids weakness but also strengthens immune system. Soup avoids fever, physical pain and cold-cough. Digestion: Soup is easily digestible during disease. It does not create problem. Soup strengthens the immune system. Taste: If you cannot feel taste then you can drink soup. It gives taste and it is also beneficial to improve taste. Energy: Soup gives energy in physical weakness. It slowly improves energy level and makes you healthy. Hydration: Body gets dehydrate during fever. In this case, it is necessary to keep body hydrated. It maintains water and nutrients level in the body. Mucus: Mucus becomes big during weakness. This increase the risk of bacteria or virus. 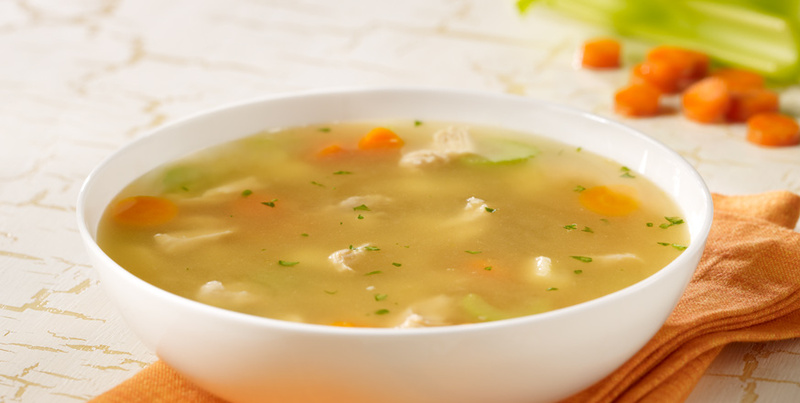 The consumption of soup reduces mucus and avoids infection. Weight: One can drink soup to increase calorie level and to reduce weight. Soup gives fibers and nutrients. Soup fills the stomach and one cannot feel heaviness in stomach. Nutritious: Soup is full of nutritious. Soup gives nutritious and energy to the body. Appetite: Soup is good option if you cannot get hunger. Soup slowly increases hunger and you like to eat food.